Official forum - International (non-German) board. Game starts up with the Kalypso Launcher, this can be skipped by clicking on skip and then play to continue. Is not required. All cloud synced options are located in <Steam-folder>\userdata\<user-id>\225360\remote\config.cfg. Don't modify this file directly. It may be used as a reference for the available options. 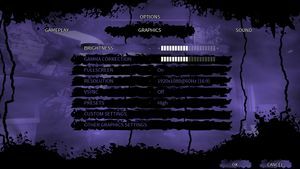 Graphical machine dependent settings are stored in machine-config.cfg. These settings are not synced with the cloud. To manually overwrite options create the file config.cfg in the configuration file(s) location and insert the options there. 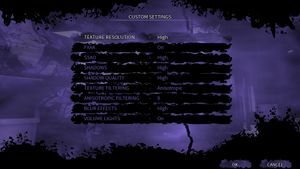 This file is not updated by the in game options menu and options set here are enforced on each game startup. Change to desktop for Borderless fullscreen windowed. Master, Music, Dialog and Effects. DK1 support, no DK2 or CV1 support. LibOVRWrapper might work for newer SDK versions. 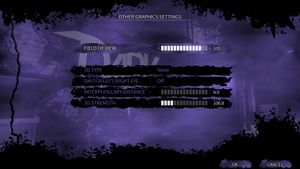 Game fails to load and gives the message "Failure to intialize engine", Seems to be an issue with multi-monitor setups. Changing resolution might fix the problem. They currently working on a fix. If you experience problems running the game on Windows 8. Run the game in Windows 7 compatibility mode. 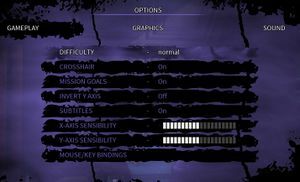 Activate the Vsync option from the game's Options menu. 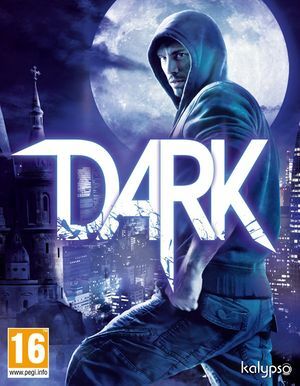 This will lock the game's frame rate to a maximum of 60 frames per second and prevent your video card from overheating. The controller is not working correctly e.g. the buttons are exchanged (A=B, B=X) try disconnecting any additional non-xbox game controllers like the Razer Hydra or racing wheels before starting the game. ↑ 1.0 1.1 File/folder structure within this directory reflects the path(s) listed for Windows and/or Steam game data (use Wine regedit to access Windows registry paths). Games with Steam Cloud support may store data in ~/.steam/steam/userdata/<user-id>/225360/ in addition to or instead of this directory. The app ID (225360) may differ in some cases. Treat backslashes as forward slashes. See the glossary page for details. This page was last edited on 1 April 2019, at 05:15.